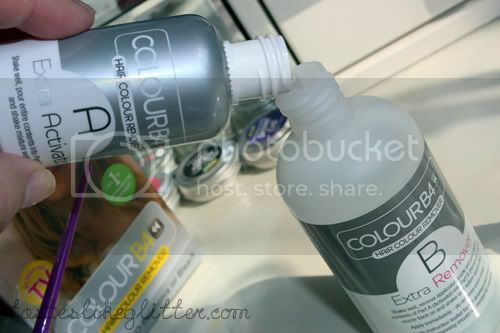 Almost 2 years ago now I reviewed Colour B4 (cringe, old review! ), to date this post has over 20,000 hits making it my most popular blog post. Even today, it's still getting a lot of interest. 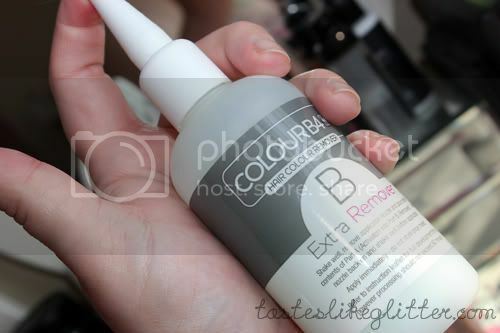 I have the new and hopefully improved version of the Colour B4 Extra Strength*. 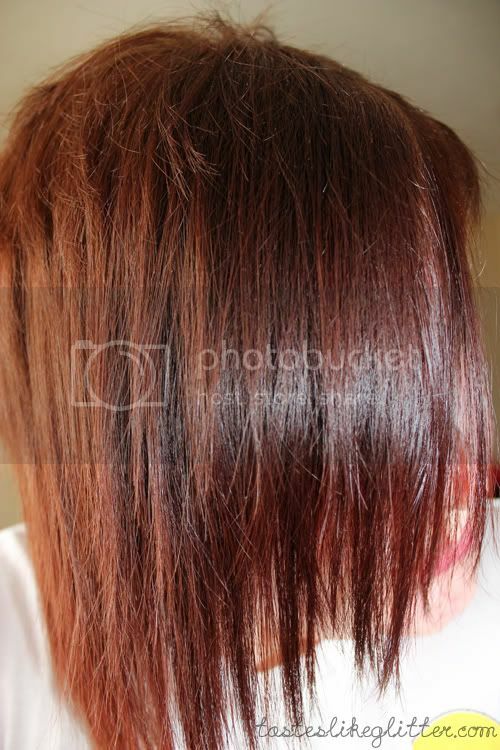 Colour B4 works by shrinking hair dye molecules (black has the biggest hence why it doesn't budge, whereas red has the smallest giving it such high maintenance) without using bleach or ammonia. 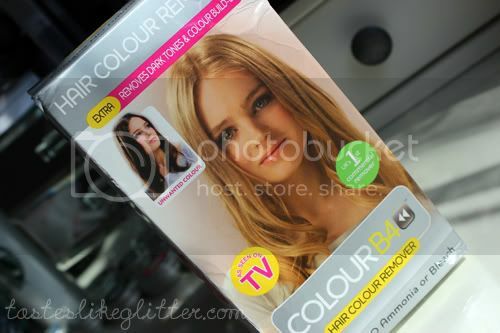 Also, unlike a regular colour strip at your local hair salon, this doesn't damage hair in the way stripping does. This can be a lot to take in from me just typing out all the steps, so I decided to take photos so I could compile a picture tutorial on how I found it. Hopefully in turn, making it easier for you to follow as it can be quite overwhelming. Please check this out after the cut as it's quite picture heavy. First up we have the contents in the box - extra strength activator, extra strength remover, the after treatment buffer and a pair of gloves. Let's take a look at my hair before I decided to apply this. 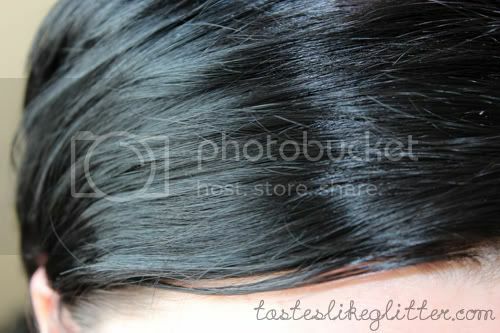 Bearing in mind I redyed my hair black just 5 weeks ago so there's a few black hair dyes already on my hair. Super shiny, super glossy and super black. It's worth noting Colour B4 can only remove artificial pigments. If you've bleached your hair (or still have bleach growing out under dark dye), you've lightened and altered your hairs natural pigment and that can't be removed. Let's start with the process. 001. 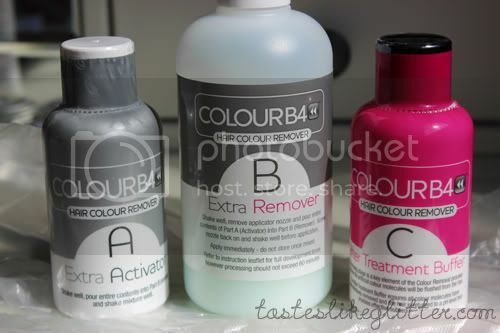 First up we mix bottle A (activator) into B (remover), extremely similar to how you mix up a hair dye. 002. Pop the lid back on and shake, shake, shake. 003. At this point you can apply straight from the nozzled bottle. 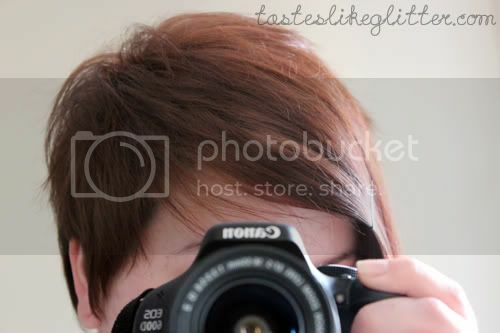 Or if you have shorter hair you can convert it to a bowl and use a brush for precision, which is what I prefer to do and the method I used for this. 004. Next up, apply the gloves provided, protect any surfaces nearby, change into old clothes - the usual precautions you take with regular dye. 005. 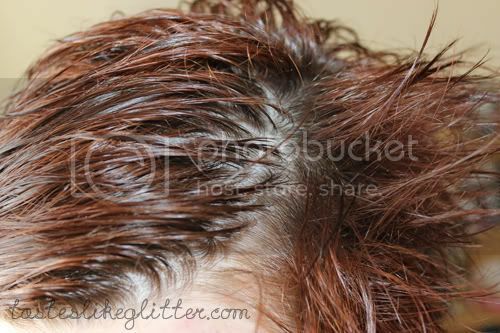 Apply it evenly throughout the hair with whichever method you prefer, making sure to coat all of the hair evenly. 006. For the regular strength this stays on for 30 minutes, with the extra it's 60. As my hair is virtually non existent at the back I just sat and amused myself on Tumblr for an hour, without worrying about dripping all over my room. This is the time where the colour molecules are shrinking. The colder the room, the harder it is for the mixture to work. A cold room/draft will slow down the rate Colour B4 shrinks those molecules. 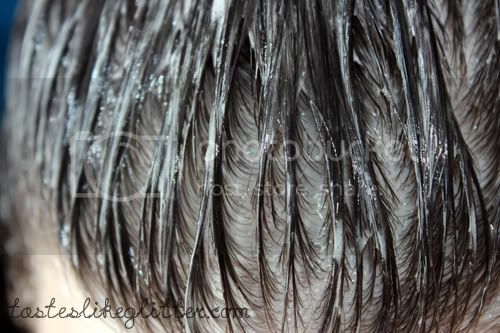 If you have long or thick hair you can cover your hair with cling film to make sure it stays warm. It was a perfect day to do it today as it was boiling! 007. So the hour is up and it's time to wash the product out of my hair. As you have to spend so much time rinsing, the easiest way to do this comfortably is to just hop in the shower. 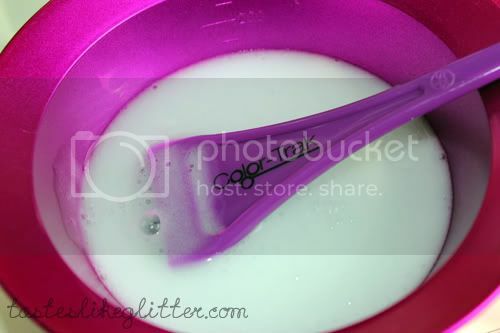 Now the first rinsing of the product takes 5-10 minutes (depending on hair thickness/length) so Colour B4 suggest setting an alarm on your phone. 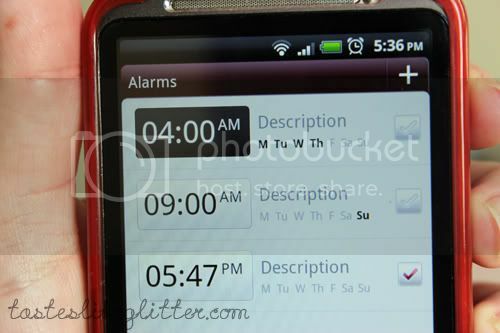 I found this the easiest way to know when my time was up. During this process you're rinsing out the molecules The best way to do this is with warm water and running your fingers through your hair to release them. 008. 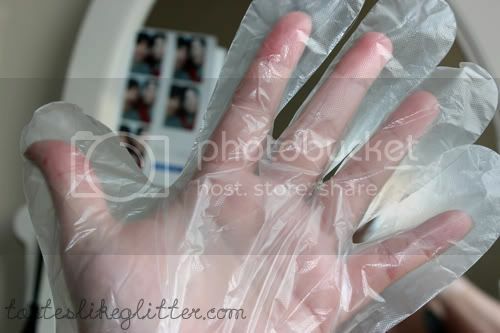 After rinsing the hair for 10 minutes it's time to apply bottle C, the buffer. Apply generously to the hair, lathering it up. Leave for 1 minute to absorb. 009. Rinse out the first buffer for at least 5 minutes. 010. Finally, apply the buffer a second time, just as you would a regular shampoo and rinse. Just a note on the buffer, I have most of this left over. keep this back as it leaves your hair in a neutral state so it's the perfect thing to wash your hair with if you want to dye your hair. 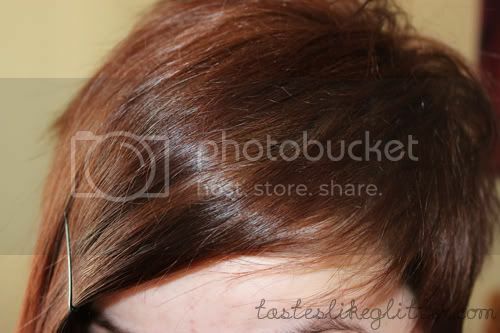 Just dry your hair like normal afterwards and apply hair dye. You can even do this right after this treatment! Do you want to see my results? Do ya, do ya? I'm going to let the pictures speak for themselves. 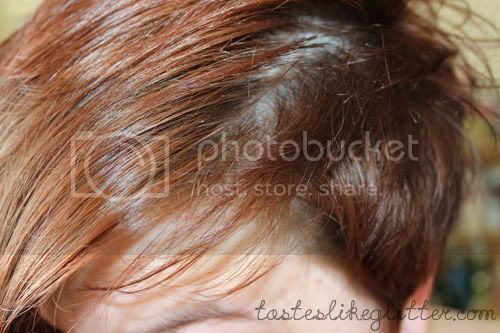 All hair photos in this post are with flash except this one. I didn't expect the results to be so drastic. Last time I did it, it was still pretty dark. Then one of my Instagram followers told me she used 2 boxes recently and they didn't work. Odd. But I was honestly expecting this not to work as well as it has. I honestly can't get over how light it is. But I'm so glad this worked! 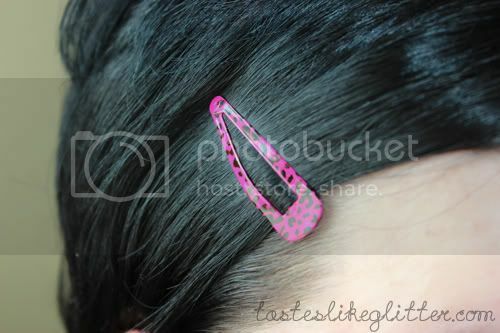 I do love black hair but it can get so boring sometimes. I have big plans for what I'm doing next with it though and I'll keep you updated. For now I've put the 2 boxes of black dye I have, well away. I honestly cannot recommend this product highly enough. I thought last time I did it the results were good, but this time around it blows the old formula out of the water. I know these kinds of kits are available at places like Sally's but this is a good, easy, accessible option for the hair novices out there. It's simple to use and it truly does work, just look at my photos - taken just hours apart. 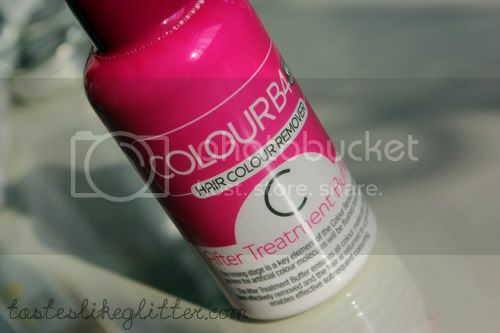 Colour B4 is available at Boots, Superdrug, Sainsbury's, Tesco and select Asda stores - priced at £9.99 for the regular and £11.99 for extra strength.